There’s a wonderful world of sleep choices between bassinets and beds, and that is the world of toddler beds. Toddler beds come with a specific mix of kiddo-appeal and safety in mind, making them parent-AND-child-friendly. Which is awesome, because happy toddlers = (slightly) more compliant toddlers, and slightly more compliant toddlers might just agree to go to bed before 10pm. Or even sleep through the night. We’ve rounded up our favourite toddler beds, ranging from the budget-friendly to the extravagant, so you’re bound to find something that will suit your (and your child’s!) tastes. 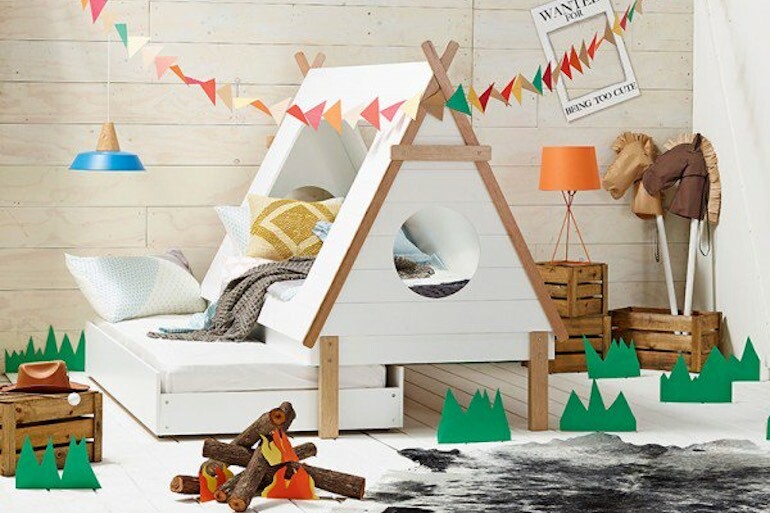 This simply designed teepee bed would make a super sweet addition to your little one’s room. 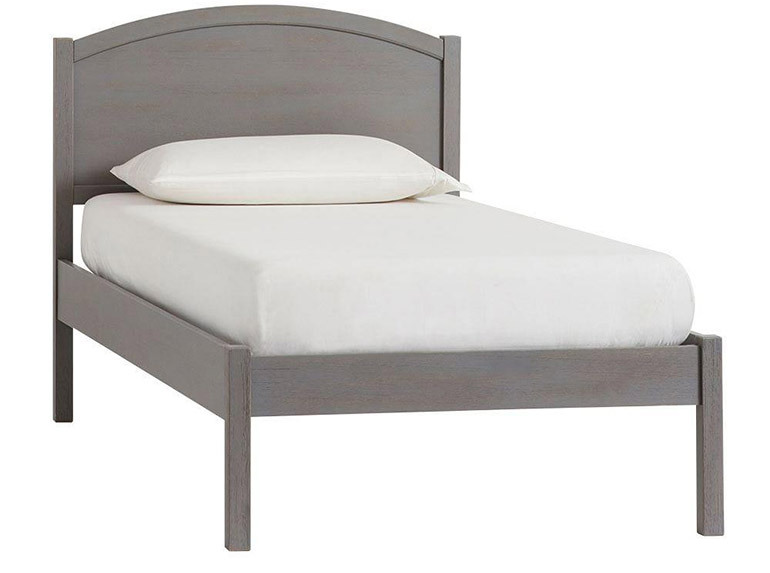 No guard rails are required, as this bed sits directly on the ground. (Also a bonus: no digging for half-eaten mouldy apples and sour milk sippy cups under the bed every other week!) 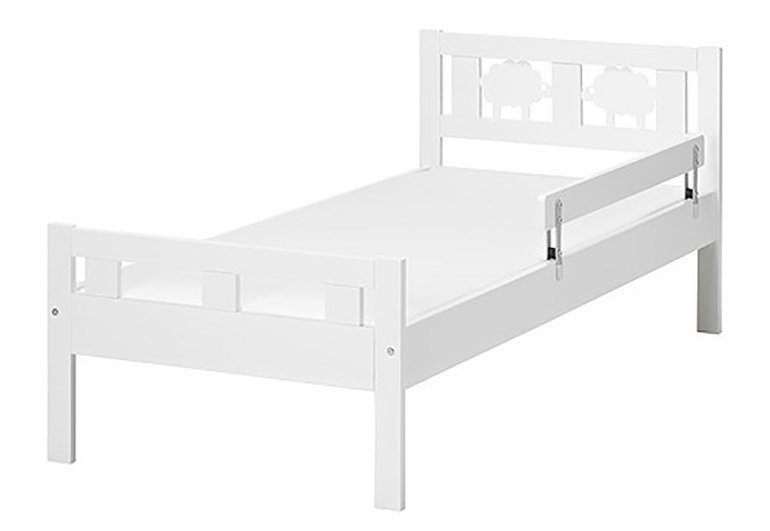 We love the clean white tips and top rail (perfect for building quick forts and cubbies! ), but it’s also available with pink details. 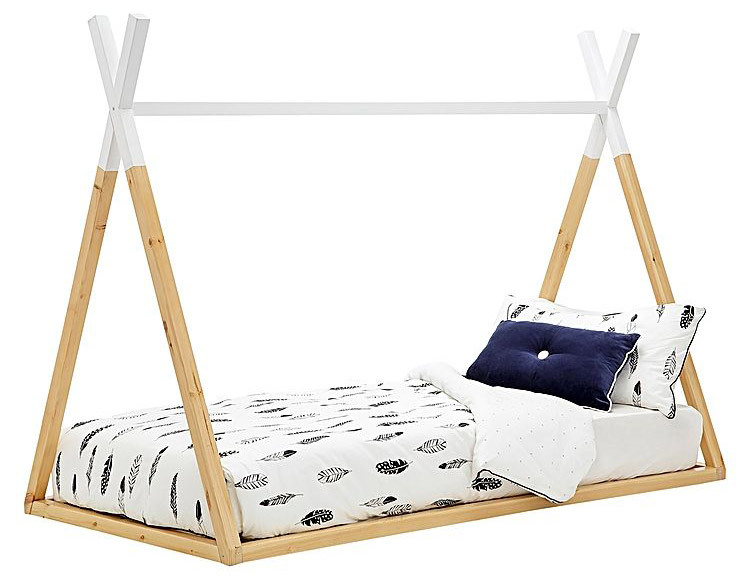 At $269.95, this trendy piece is definitely on the more affordable end of the toddler bed spectrum. 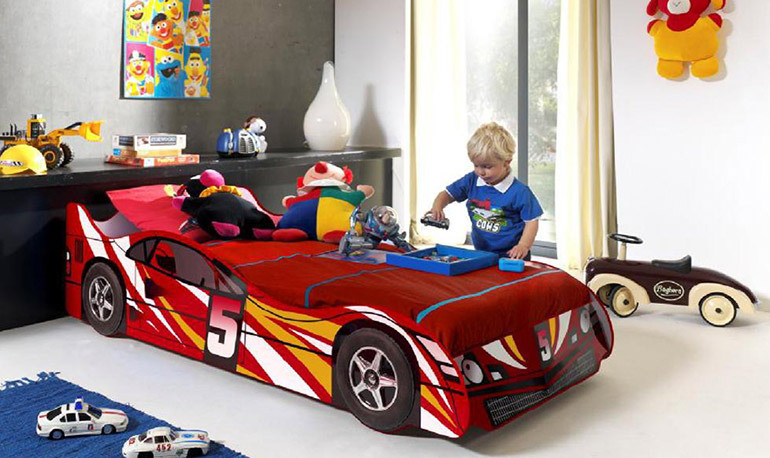 If you publish a round-up of toddler beds and don’t include a racing car option, is it even a real toddler bed round-up? This awesome car comes in red or blue, and at $399 is one of the less expensive car bed options on the market (and trust us, there are a lot out there!). 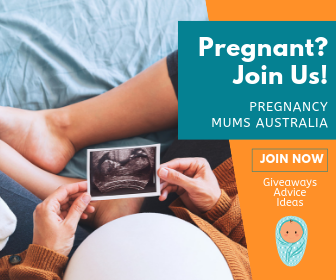 Just the thought of a sneaky trip to Target has many mums’ hearts doing a little flutter, and what better excuse than this storage-savvy, compact little bed? Your well-spent $149 will get you the standard low-to-the-ground bed with guard rail, PLUS a nifty drawer underneath for storing linen. Is there a little Frozen fan in your home? Of course there is. Your child will (probably) beg for bedtime every night with the prospect of climbing up into this adorable sleigh-shaped bed and settling into sleep under the watchful eyes of Elsa and Anna. I mean, we can’t guarantee that it will be as easy as it sounds. But for $699 you can run the experiment, and report back! We love Pottery Barn’s effortless charm and style, and this lovely junior bed is no exception. On the more affordable end of their range at $399 for a single, the Austen bed would suit almost any kids’ room. Though technically not a toddler bed, a universal guardrail can be purchased as an addition to this piece for your toddler’s safety. Ikea always comes through with the good stuff, don’t they? The Kritter toddler bed features two cute sheep buddies at the head and the all-important guardrail to prevent middle-of-the-night tumbles. At just $149, this bed proves you don’t have to drop a huge wad of cash in order to inject a little personality in your child’s room. This cheeky guy will be your new best friend as he beckons your toddler to bed. 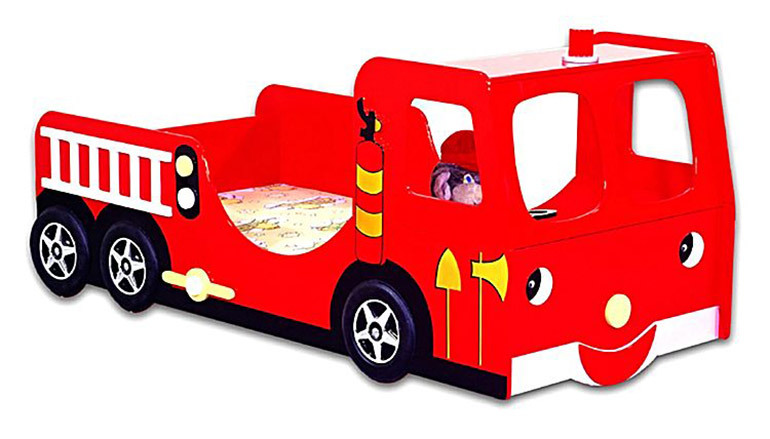 A bright, cheerful statement piece, this fire engine is sure to thrill your mini-me. $419 well spent, in our opinion! 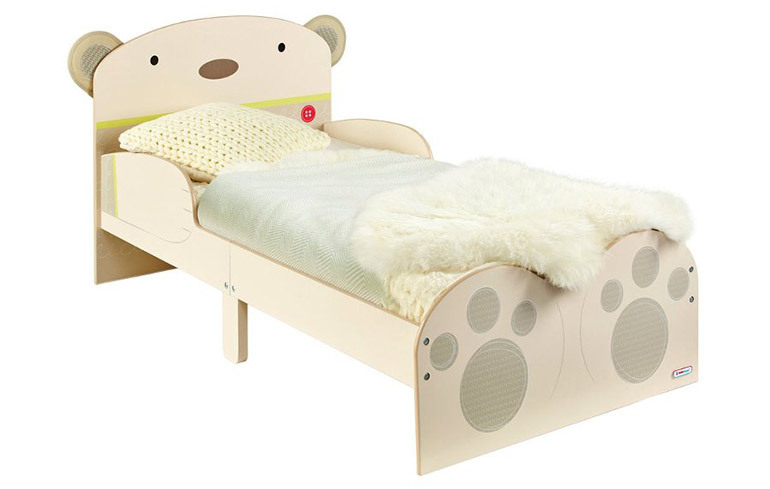 Is it just us, or are these toddler beds getting cuter and cuter?! Mr (conveniently neutral-coloured) Bear here would make an adorable addition to any kids’ room. And for just $219.93, he’s actually a really surprisingly affordable piece of furniture. This bed is the big guns. The dream piece. 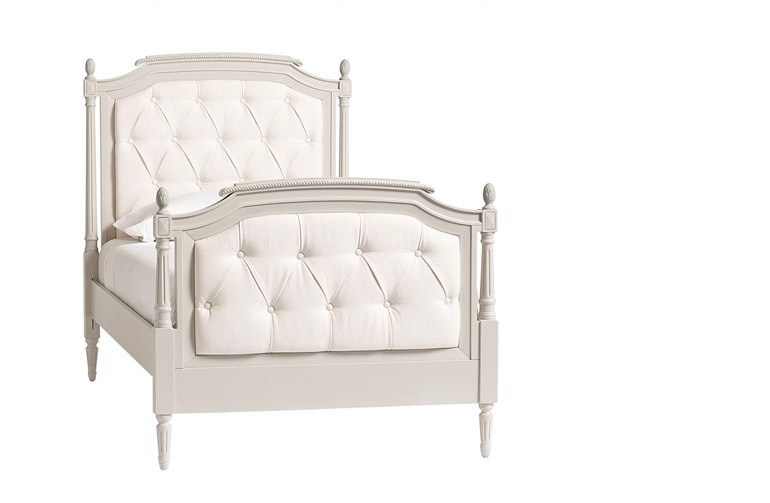 The bed that looks more suited to a princess’s castle chambers than a kid’s room. But we love it SO MUCH. 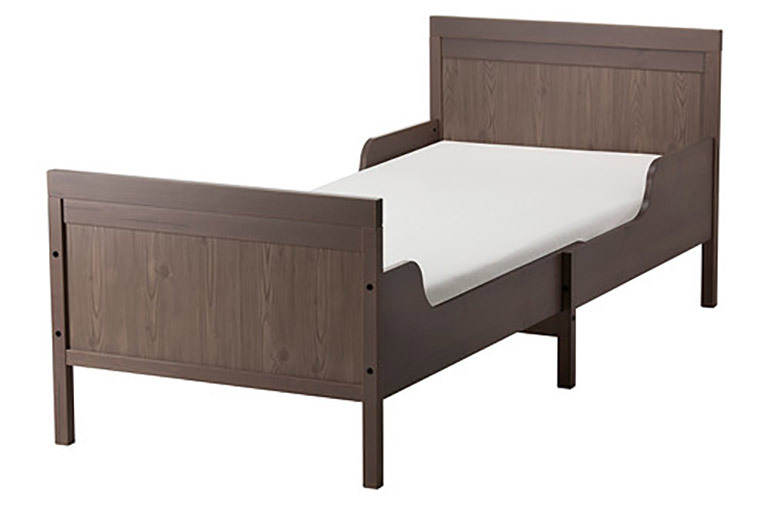 Like the Austen bed above, this is a kids’ bed, not a toddler bed. But Pottery Barn’s universal guard rail will make it toddler-friendly. And when you’re dropping a cool $1,899 for a piece like this, what’s an extra $176 for a guard rail, in the scheme of things? 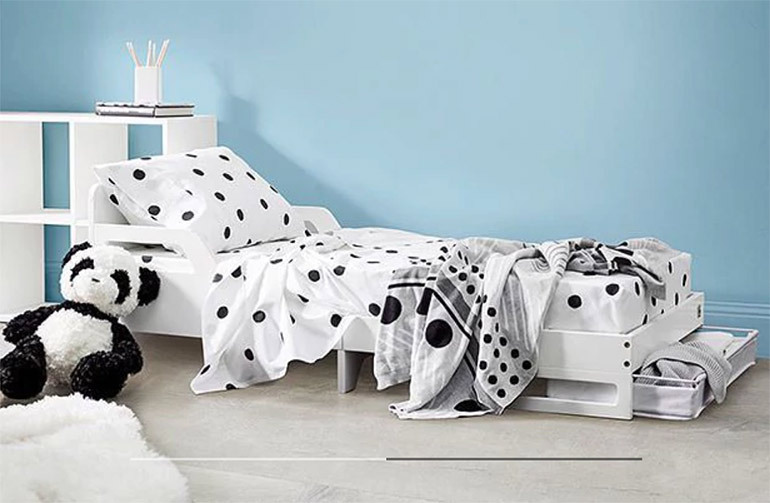 Practical, compact and a pretty universal aesthetic, the Sundvik toddler bed will make a very budget-friendly addition to your kiddo’s bedroom. Its best feature is its extendable body, allowing it to grow as your child grows. 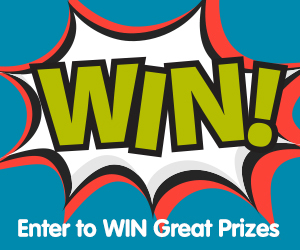 For just $249, it’s an easy yes! Choo choo! 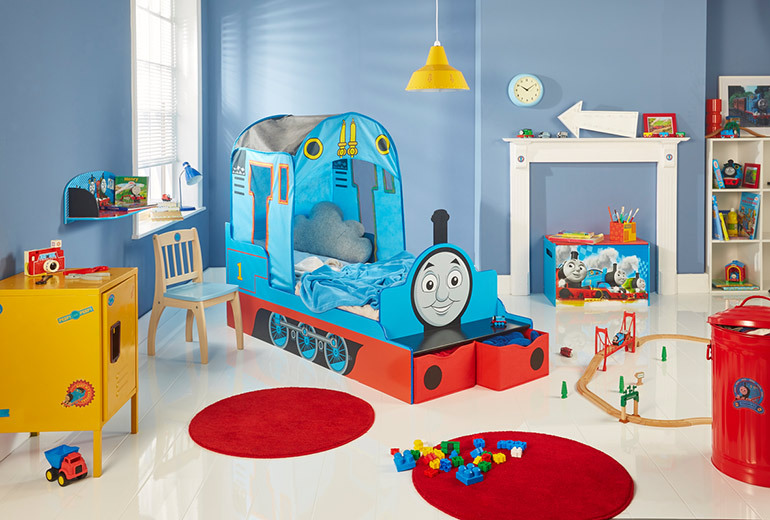 Little train lovers will go nuts for this super cute Thomas bed with all the bells and whistles. Kids will love tucking themselves away under the somewhat private canopy overhead, and parents will be stoked with the handy drawers and bench. For $599 it’s a pretty reasonable splurge, with lots of bang for your buck! Is your toddler ready to move from the cot to a toddler bed? Check out our strategies for making the transition easier! Oh and our gorgeous feature image – it’s from Domayne.com.au, here it is one more time… Happy shopping whatever you choose. Toys r us closed down? ?